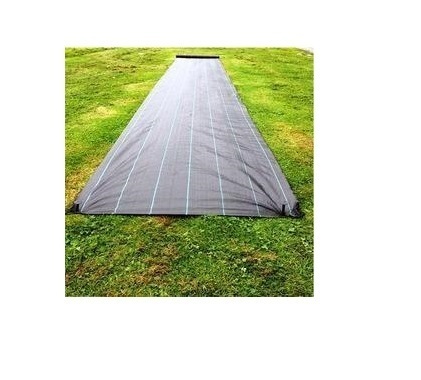 Our range of products include pp ground cover, pp woven ground cover, vineyards covering sheets and weed mat. We are major supplier of pp ground cover in india.We have black,sliver colour pp ground covers. We are major supplier of PP woven Ground Cover in India.we have black and silver ground cover. We are major supplier of pp ground cover in india.We have 30 microns black, silver Mulch film are available. These Weed Mats are extensively utilized for protecting the crops against adverse environmental conditions like rain, hailstorms and insects. Light in weight, these Weed Mats are easy to spread. These Weed Mats are provide as per the client requirement. The offered Weed Mats help in preserving the quality of the soil and result in a healthy yield. We make these Weed Mats available at competitive prices.